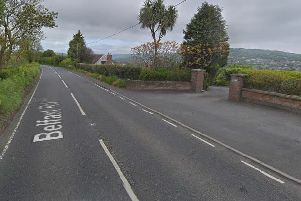 Police are investigating a “hit and run” road traffic collision in Carrickfergus. This occurred at the Irish Quarter Roundabout, Belfast Road, on Tuesday, at 1.50 pm. PSNI Carrickfergus is appealing to anyone who may have witnessed this incident or may have any information regarding the incident to contact police on 101 quoting CC580 of 05/02/2019.